Give a landscape a Mediterranean makeover with a sophisticated copper water feature. 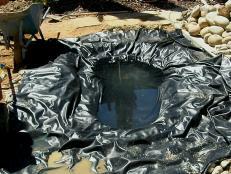 Before starting to dig, use spray paint to outline the water feature's wall and basin on the ground. 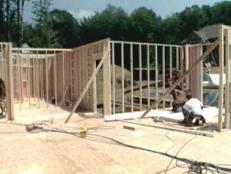 The wall will be 3-feet wide; choose a basin that's at least as wide as the wall. 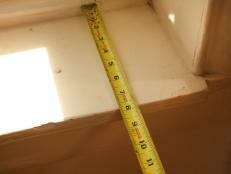 The basin should sit about 6 inches in front of the wall's center point. 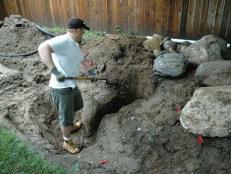 Dig out a hole the same shape as the water feature basin, deep enough so the basin will sit flush with the ground. 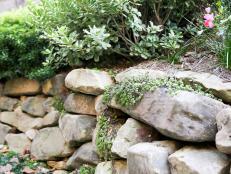 For the wall, dig a post hole 2-feet deep at each end of the wall (3 feet apart). 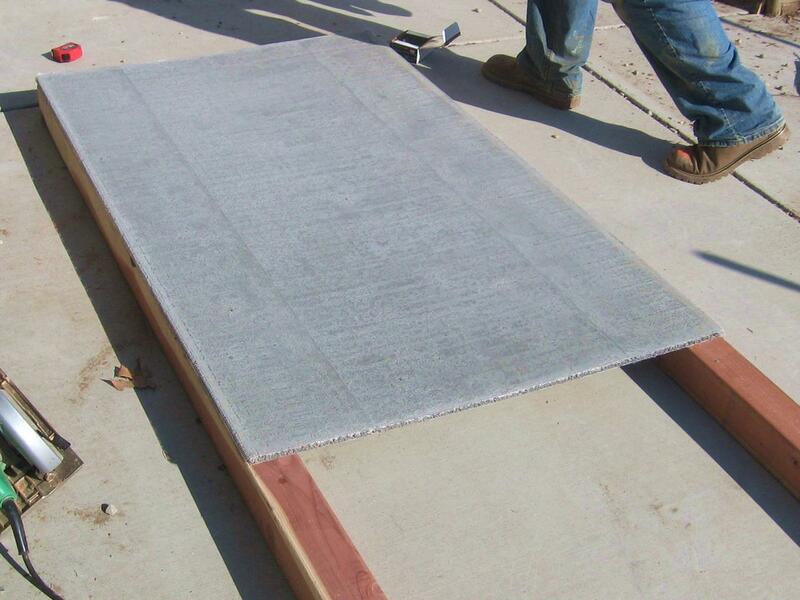 Lay out the two 4x4 posts about 3 feet apart and position the 3' x 5' cementboard on top, so the long side of the board is lined up with the posts (Image 1). Line everything up so the cementboard is flush with the tops and edges of the posts, and the posts aren't visible. Use galvanized screws to attach the cementboard to the posts (Image 2). Carefully flip the piece over. 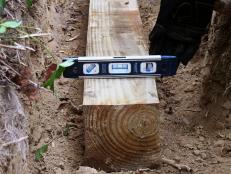 Measure and cut three pieces of 4x4 post to fit snugly between the two side posts. Slide one of these horizontal supports between the posts, flush with the top of the cementboard, and drive long screws through the post and into the support to attach. Position another piece of 4x4 flush with the bottom of the cementboard and attach in the same way. None of the 4x4s should be visible from the cementboard side of the structure. Make sure to wear safety glasses and use caution when working with a power saw or any power tool. The sheer descent is a trough-shaped reservoir that will push water through the wall in an even sheet. It fits on the back of the wall and sticks out about 1 /2 inch through the copper front. Position the sheer descent about 14 inches from the top of the wall and trace the lip on the back of the cementboard. 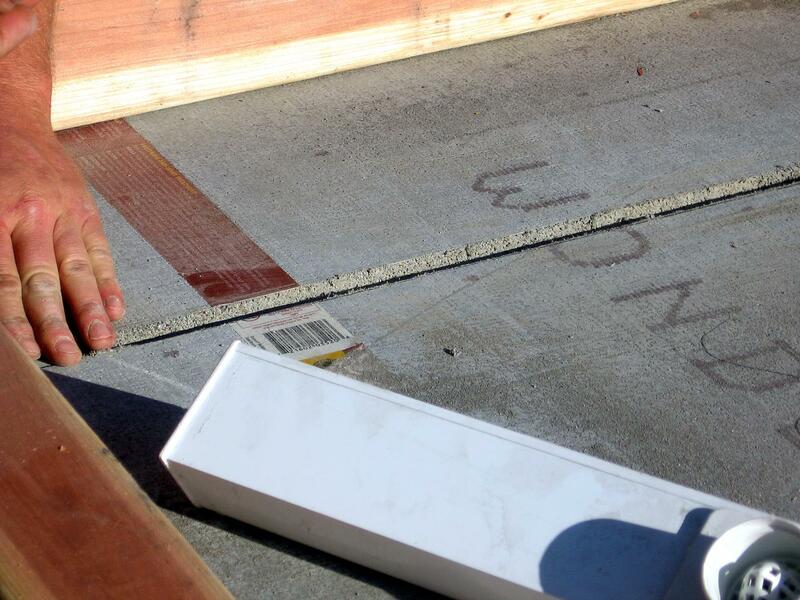 Make sure the line is centered and level, then cut through the board along the line using a jigsaw or a circular saw with a masonry blade. 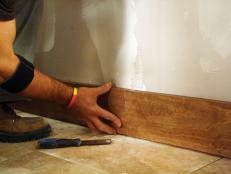 Dry-fit the sheer descent in the slot and use a chisel to cut away any uneven edges. Using sandpaper, sand one side of the copper sheet in a circular motion. Sanding will rough up the copper surface so it will adhere to the cementboard. Wipe away any dust. The copper sheet should come with a protective plastic cover. 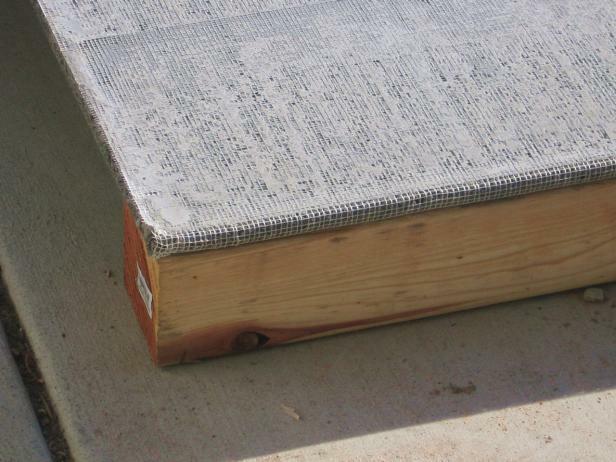 Remove the cover from the side being sanded, but leave it on the other side to protect it. 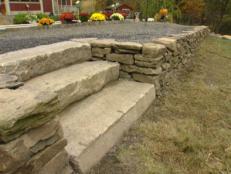 Lay out the fountain wall with the cementboard side facing up. 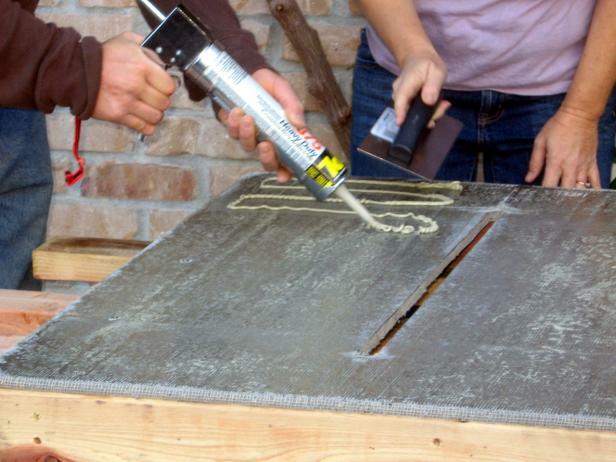 Use apply heavy-duty construction adhesive to the cementboard and spread it out with a notched trowel (Image 1). 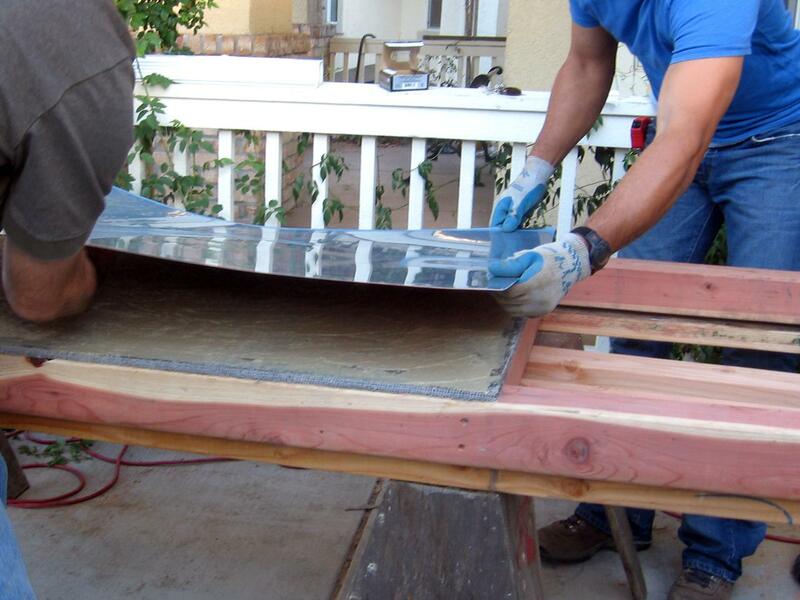 Carefully position the copper and glue it to the cementboard (Image 2). Spread towels or a soft blanket over the copper to protect the surface and lay some lumber or other flat weights on top to apply pressure. Let the adhesive dry according to the manufacturer's instructions. Make sure to line up the copper flush with the edges of the cementboard. Have helpers on hand: The copper isn't heavy, but it's large and hard to handle. More hands on the job makes it easier to line up the metal. 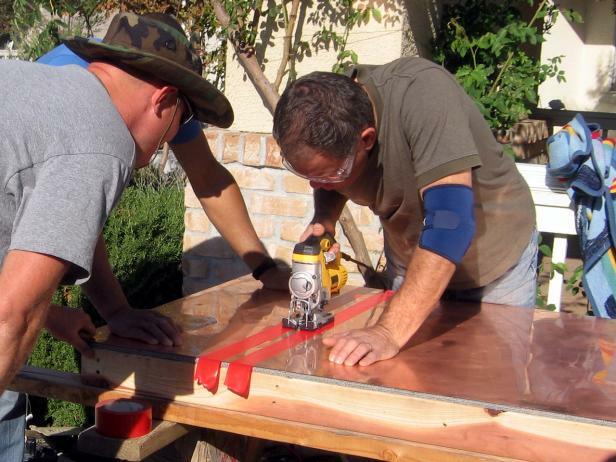 Once the adhesive is completely dry, turn the water wall copper-side down. Wearing safety glasses, drill a pilot hole through the copper at the corners of the slot in the cementboard. Flip the wall back over so the copper side faces up. Use masking tape or painter's tape to "connect the dots" between the holes; the tape will act as a guide for the saw and will protect the copper from scratches. Wearing safety glasses, carefully fit a jigsaw blade through one of the drilled holes and cut along the tape between the holes to create the slot. Using a lower-priced sheer descent helped keep the budget down – but the stark white plastic doesn't go with the copper wall. To fix this, paint the sheer descent with a copper-colored paint. Make sure to use an exterior-grade paint, and prime according to the manufacturer's instructions. Let the paint dry completely. Remove the protective plastic and sand the front of the copper. Normal weathering will knock down the shiny surface, but sanding will help keep the patina even and hide minor damage. Sanding also makes it easier to adhere tiles in the next step. 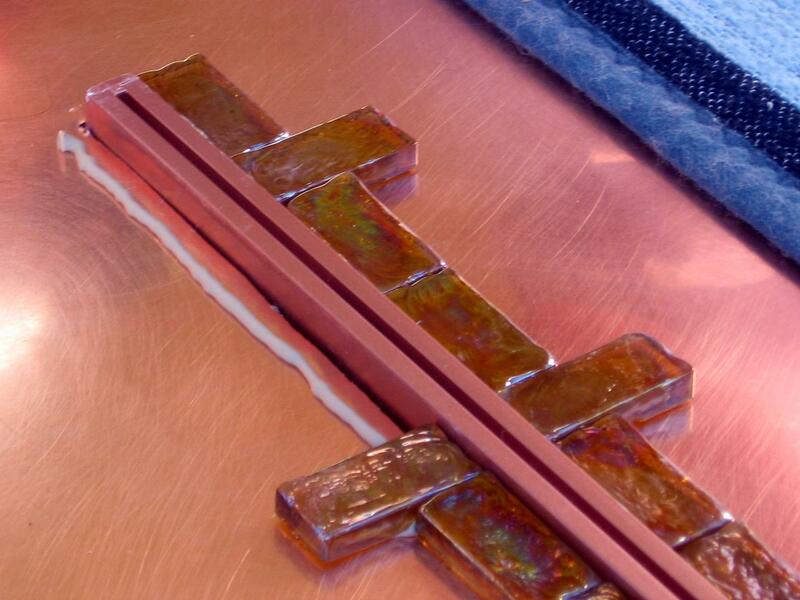 It's difficult to get a perfect edge when cutting copper – but a few decorative tiles will hide any rough spots. Use the same construction adhesive as before to attach small decorative tiles around the edge of the opening in the copper. Make sure to let the glue dry completely before attaching the sheer descent. Slip the sheer descent through the slot before tiling to make sure the tiles don't get the in the way of installation later. Consider laying out the tiles in a pattern before gluing them down. Turn the water wall copper-side down and slip the sheer descent into place, securing it according to the manufacturer's instructions. Slide the last 4x4 support piece between the two posts, positioning it so that it serves as a floor for the sheer descent. Attach the support with screws. 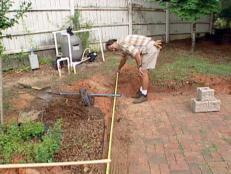 Fit the vertical posts into the pre-dug holes by the water feature basin. 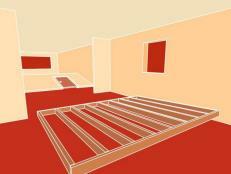 Make sure the copper wall is centered, with the basin directly in front, before securing into place. Dry-set the posts with dry cement mix. Cut and dry-fit the PVC pipe and fittings to connect the sheer descent to the pump inside the water basin. Make sure the system includes a shut-off valve to control the water flow to the sheer descent. 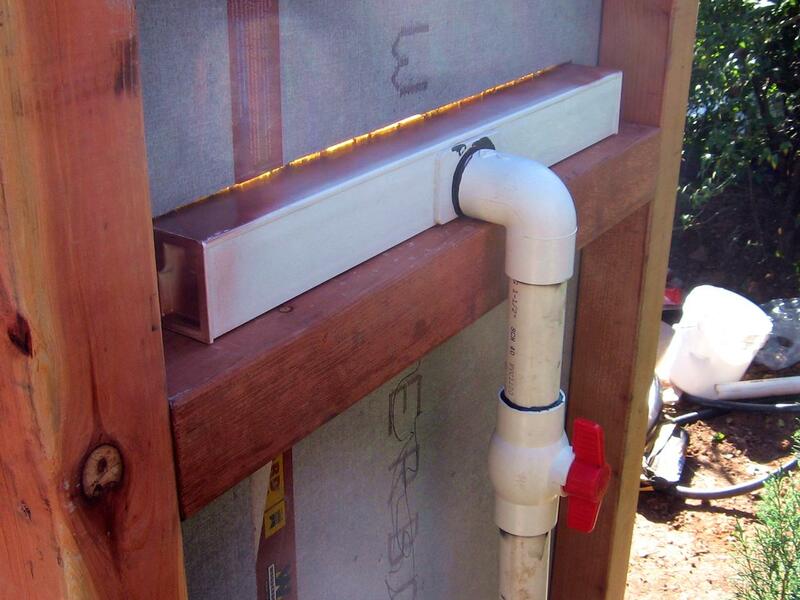 When all the pieces fit properly, use PVC cleaner and a heavy-duty irrigation-pipe adhesive to make the connections. Fill the basin with water and cover with a mesh grate. Place large Mexican pebbles on top of the grate. For extra flair, add a waterproof spotlight to highlight the new water feature. 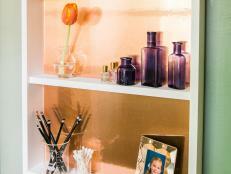 Add copper self-adhesive paper to the back of the shelving for an instant update. 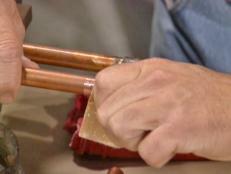 These step-by-step instructions show how to solder a copper pipe and fittings together using a propane torch. 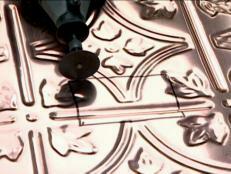 Use copper ceiling tiles to create a beautiful backsplash in your kitchen. Spruce up the look of a kitchen by installing a copper windowsill. Install copper wainscoting on a kitchen bar for an eye-pleasing look. See how a big heap of assorted rocks and pebbles is transformed into a shallow pond, incorporating larger boulders, plants and a bamboo fountain. Soldering copper pipe calls for an acid-based solder. 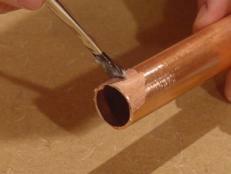 Use these step-by-step instructions to easily solder a fitting to a pipe. 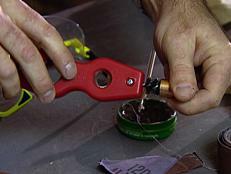 Soldering -- using a torch to join two metals together -- is a common technique for joining pipes. Master plumber Ed Del Grande demonstrates how to join pipes. 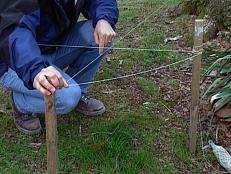 Follow these instructions to a sturdy chain link fence along your property line. 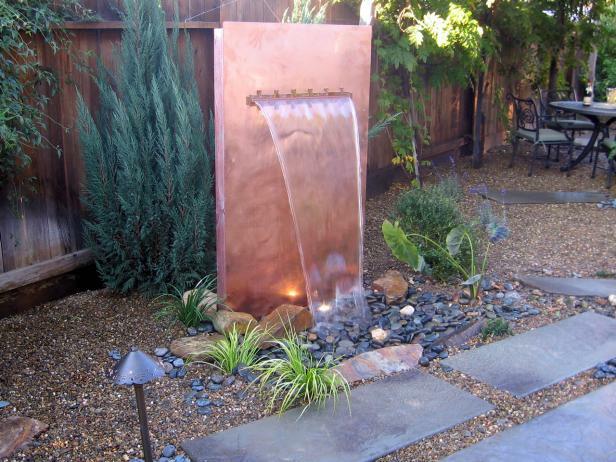 Adding a pond and fountain to the yard will introduce the soothing sound of trickling water.